Sometimems you can make a statement as a professional wedding photographer by focusing on one of the subjects and purposely blurring out the other. In this image the Bride is supposed to be the key part of the photo, so we blurred out the groom slightly. 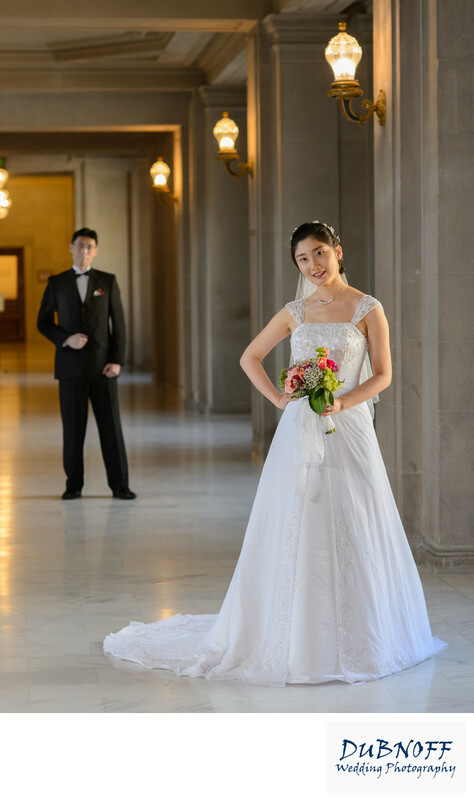 We want the viewer to still be aware that we are talking about a city hall wedding couple here so we don't go overboard with the blurring.